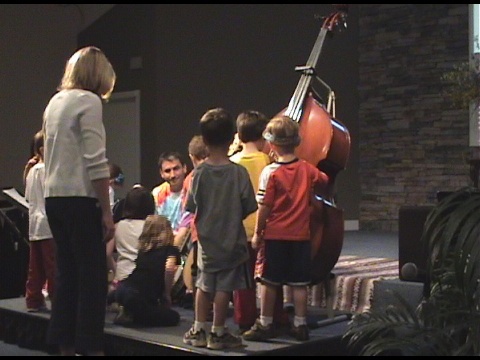 I recently gave a musical presentation to a local preschool. It was a blast, so many good questions and quotes from the audience! Like, after guessing the animals in one song, someone yelled out “we have very large brains”. Of course they do! 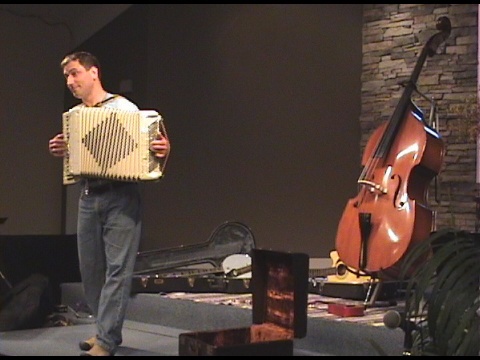 While I was showing them the accordian, and letting them hear how it sounded, a girl in front raised her hand and said that it looked like a trumpet… I said “Really?” eyebrows raised… she replied, “a square trumpet!” Wow, nice perspective, I love it. They were definitely enjoying the fun we had. 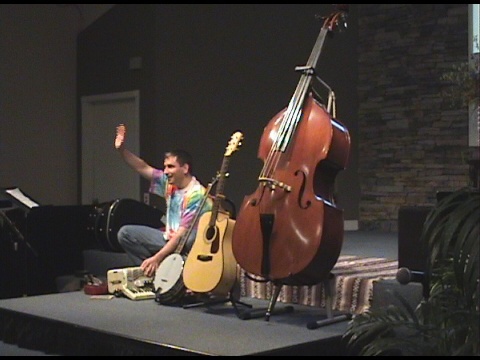 In all, I played acoustic guitar, stand-up bass, banjo, ukelele and kazoo, and I closed with accordian. For the last song, I played a song the preschoolers were all familiar with (that they sing in the school regularly anyway) – This Little Light of Mine. It brought down the house – if you can do that at a preschool! Everyone was singing along. So, I will be doing this again I am sure, and if you’re reading this and know of a school that would like a visit, give us a holler. 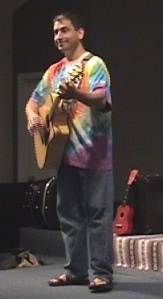 I captured it on video and have uploaded a clip of the part of the presentation with the ukelele and kazoo. Give it a watch, its fun. Great job, Scott – I didn’t know about the “jumping fleas”!